News from the Guardians Of The Galaxy Vol. 2 front keeps on pouring in, providing fans with a glimpse at the film’s fancy footwork, as well as an earful of the Hoff. We recently learned that the sequel will have five post-credits scenes, in case you were wondering if you should keep your fluid intake to a minimum at your screening. Word is now breaking on all the sweet cameos director James Gunn has lined up, which, according to io9, include Ving Rhames, Michelle Yeoh, and Sylvester Stallone. Rhames and Yeoh are reportedly playing ravager leaders, while Stallone has landed the plum, albeit brief, role of Stakar. Amid that flurry came the news that Nathan Fillion had shot a scene that ended up on the cutting room floor. Fillion, a longtime friend and collaborator of Gunn’s, even shared what looked like a set photo. Really, why else would he be dressed like that? 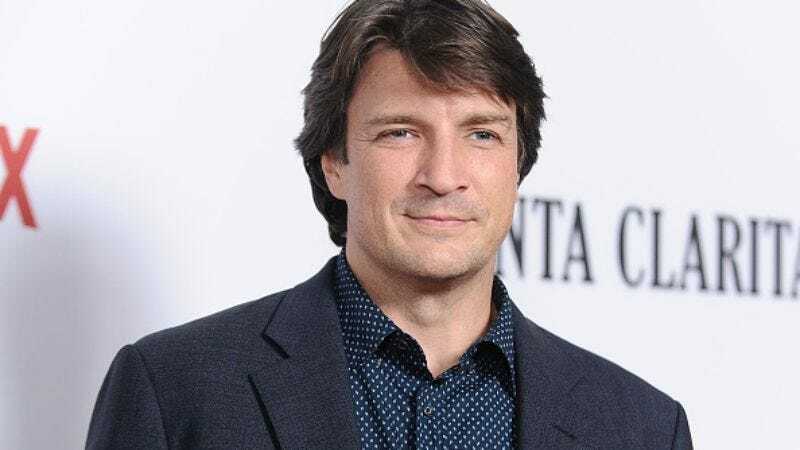 There must have been some outcry over Fillion’s omission, because Gunn has had to clarify whether or not the Castle and Firefly star was supposed to be in the sequel. The director explained in a couple of tweets that Fillion’s face was featured on some movie posters in a scene that was cut, but whatever he’s doing in that cockpit is just a goof. It was previously reported that Fillion would sort of appear in Guardians Vol. 2; set photos showed movie posters for a “Simon Williams Film Festival” featuring the actor’s face. Williams’ alter ego is Wonder Man, so it looked like Fillion had found his way back into a superhero role, however indirectly. But now it seems the wait is back on.